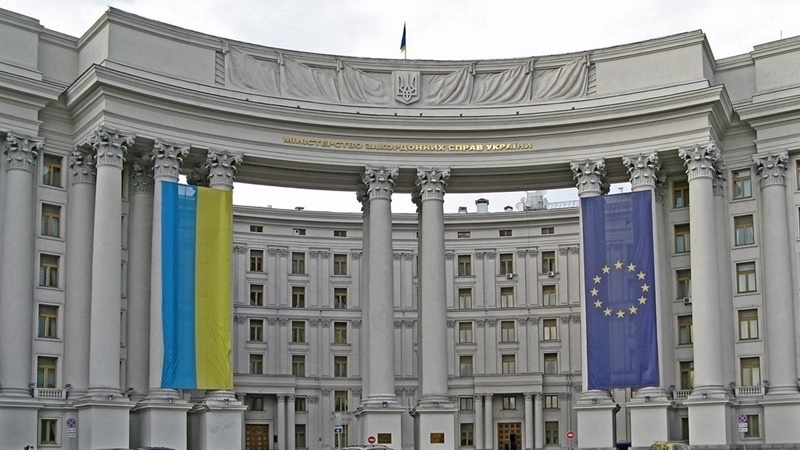 The Ministry of Foreign Affairs of Ukraine has demanded from the Russian occupation authorities in the Crimea and the Donbas to stop pressure on the media, according to the message of the ministry's spokesperson Mariana Betsa on Twitter. The statement of the Foreign Ministry is timed to the World Press Freedom Day. “Today, on World Press Freedom Day 2018, we demand from the occupation authorities to stop pressure on media freedom in the occupied Crimea and the Donbas,” the Foreign Ministry spokesman wrote. The Foreign Ministry also demanded the release of Ukrainian journalists Roman Suschenko and Mykola Semena, who are illegally detained in Russia. "We demand the RF to release the illegally detained journalists R. Sushchenko and M. Semena, who are hostages to Russia's aggression," Betsa noted. QHA informed that in the annexed Crimea negative statements against Ukrainians constitute 70% of the information space. Earlier, it was reported that on Russian channels in the Crimea, 63% of the language of hostility is directed against Muslims. Talking about Muslims in materials related to religion, Crimean journalists used the expressions "Islamists" and "Tatars-Wahhabis", and the general image of the adherents of Islam was designed as an image of terrorists capable of violence.